Choosing a Colour Schemes for your New Home and Creating colour schemes is one of the more creative and exciting steps for the design of your new home. The colour palettes that you choose to fill your home is an important decision that dictates the atmosphere that is produced in the different rooms of your house. 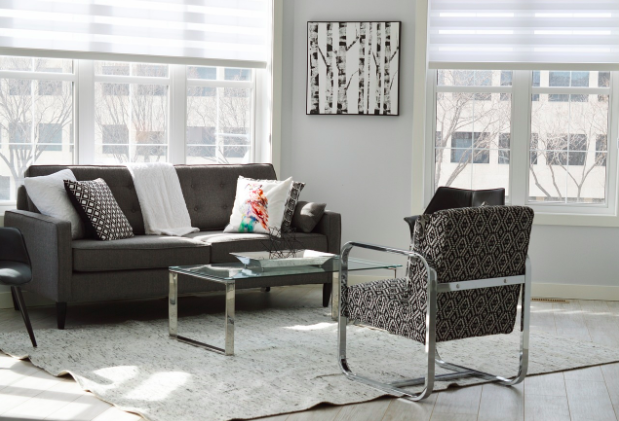 If you have no idea where to start, we have 6 tips for you in order to get smart about colours and ensure that you create a living environment that you love and feel comfortable in. When planning for something visual, the best way to explore what you like and what will be complimentary is by physically putting snippets together to discover how different combinations make you feel, as well as what you are drawn to. Pinterest is an amazing place to go to find colours and images of home designs that inspire you. Ask yourself how you want to feel in your home, as colours palettes can have major impacts on our moods. Earthy colours can make us feel cozy, whereas brighter tones are more stimulant. It is important to have some balance in your home when working with colours, contrasting warm and cool colours can create the perfect bliss point for your rooms. Warm colours include those made with red, orange and yellow combinations. Visually these colours create a sense of being closer in a room, which is a trick for larger rooms that you want to make feel cozier. Cool colours are a typical mix of blues and greens, as well as delicate purples. Visually they have the opposite effect on rooms, causing them to appear larger and less enclosed. Whether you think there is value to it or not, sometimes getting a little bit technical about colour can really help. You may of heard of the rule of thirds – it is very handy in the world of design! The rule of thirds involves using three different colours in each room – usually leaning towards one standout colour, with the other two less present, following a 60% – 30% – 10% rule. If you are looking for a visually balanced space this might be worth considering. Particularly for choosing wall colours it can be so beneficial to purchase samples in order to get an accurate presentation of how a certain paint will look in your home. 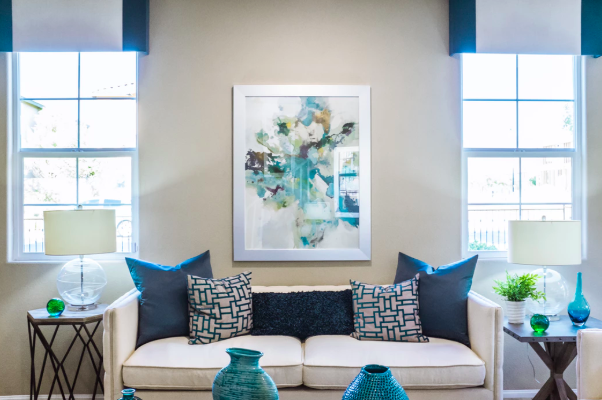 Paint small areas of your wall and see how they present themselves with the amount of light in that space – this way you can be sure about the choices your making. At the end of the day YOU are going to be living in your home and YOU should be happy with the colours you choose. Browse display homes with an array of colour schemes so that you know how it feels to physically step inside them. Find out exactly what you love, and how you prefer your home to make you feel. Browse trends but also remember that is it important to let yourself naturally gravitate to what makes you feel comfortable. Use our website to explore more inspiration for your new custom home by browsing our home design page or contact Carrell Group for more information regarding custom home designs to help inspire your new home. You can talk to one of our expert consultants by phone at 843-399-4299 or email at info@carrellgroup.com.